It has been some time since pretty flowers decorating a wild herb salad were a new arrival in haute cuisine. The paleo diet, which promises figure-slimming through the enjoyment of low-carb nuts and meat, also seems to be old hat. But what’s the deal with a bed of moss on your plate, dusted with beetroot ash and roasted tree bark? Cooking with what you can find outdoors in the forest, by the river and in the vegetable patch – that is the hot topic currently burning the lips of the top chefs of tomorrow. The back-to-nature idea is also slowly percolating into everyday cookbooks and can be neatly slotted into the general longing for “wilderness,” for a reduction to the essentials and a refocusing on the origins. Be it urban gardening, vertical gardens, hygge magazines or traveling into the unknown, the search for distant lands, for untouched nature finds expression in numerous areas of life. Including in the kitchen. While for a long time it was principally organic produce that held the attention of supermarket chains and restaurants and while supposedly exploding levels of lactose, gluten and fructose intolerance led even discount stores to start stocking soy yoghurt, oat milk and gluten­free noodles, now it is calls for regional, seasonal and “natural” foods that are dominating supermarket magazines, food blogs and the menus of top-class restaurants. 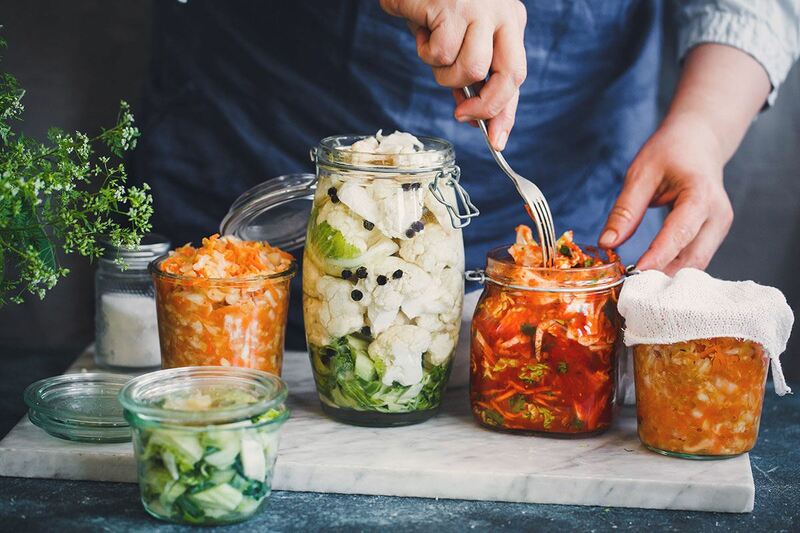 Anyone who thinks that preserving and fermenting, cabbage dishes and hotpots, vegetable patches and allotments were something only our grandparents did and are a thing of the past needs to think again. You would be well advised to learn precisely these skills as quickly as possible if you want to find followers for your tenth food blog, too. Of course, the dieting mania has not managed to escape the push for more naturalness, either. While yesterday the paleo diet was en vogue, today it’s all about clean eating. That does not mean eating less and having to forgo certain things, but rather conscious, reduced and healthy eating. In other words, no convenience foods, no fast food, and everything as natural as possible. And as for the ingredients: less is more. The blogger and author of multiple cookbooks “Deliciously Ella” claims to have overcome her postural tachycardia syndrome with “natural and honest food”. She also, almost in passing, appears to attribute her bright complexion, good figure and radiant smile to her new eating habits. Yet only last year Ella’s perfect world, which she celebrates in her blog and her cookbooks, threatened to crumble when explosive headlines broke about the prospect of “orthorexia”– an eating disorder whose sufferers develop a pathological obsession with healthy eating. So it seems high time for the next food trend. Food blogs and cookbooks aside, the focus on regional, seasonal and natural food reappears above all on the menus of premium restaurants around the globe, such as “noma” in Copenhagen. The gourmet temple with its own Wikipedia entry has already earned two Michelin stars and been named the world’s best restaurant four times. The restaurant’s name is composed of the words “nordisk” (Nordic) and “mad” (food), the cuisine of seasonally oriented menus and, where possible, local ingredients. 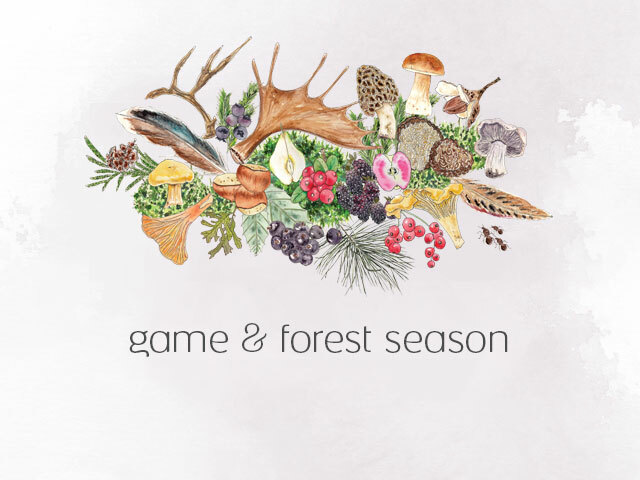 In this season, we will be exploring the plant kingdom and everything that is edible; cooking with what we can find underground, above ground, near the water and in the trees. With this mission, “noma” is at the cutting edge, just like Virgilio Martínez. The Peruvian star chef, who has already been featured in the Emmy-nominated Netflix series “Chef’s Table” alongside such big names as Spanish molecular chef Ferran Adrià, heads the award-winning and highly distinguished gourmet restaurant “Central” in Lima, Peru. The ingredients that make it onto the plate here come from the Amazon rainforest, Peruvian riverbeds and the peaks of the Andes. Initiatives such as the non-profit organization “Slow Food,” which are committed to promoting “[...] responsible agriculture and fishing, humane animal husbandry, traditional food production and the preservation of the regional diversity of tastes,” have been around for a long time. Yet it is only in the last few years that lifestyle magazines and top restaurants have started celebrating the attractiveness of such an approach to food. Back to the origins, back to nature. Premium restaurants in Germany have likewise slowly internalized this credo and are increasingly starting to rewrite their dishes in puristic, not to say cryptic form in as few words as possible, in the manner of “Beet / Goat / Poppy.” Which makes for an even greater surprise when your plate arrives; after all, nothing is wasted, everything used – the beetroot is made into ash, served on a bed of moss, the weeds in the tea. Wilderness on a plate. Let’s see what comes next. It’s really a connection with the people, the landscapes, the environments, the soil. (...) Now we’re cooking ecosystems.